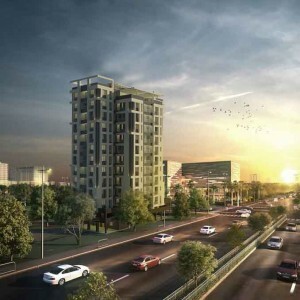 It is a joint venture between a developer and the owner, who is a well-known actor. 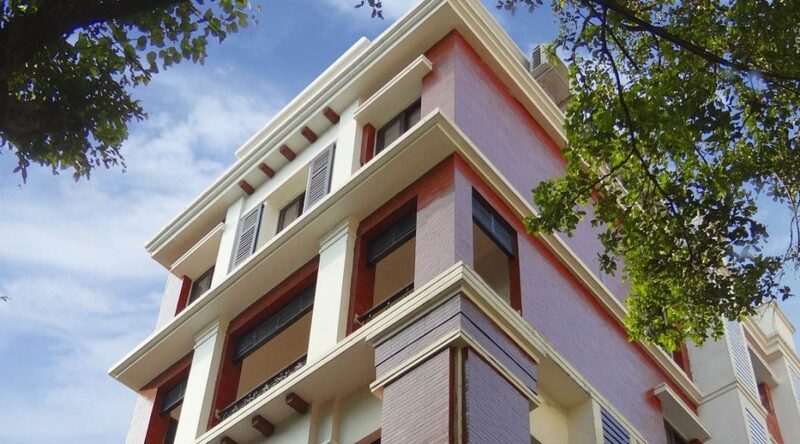 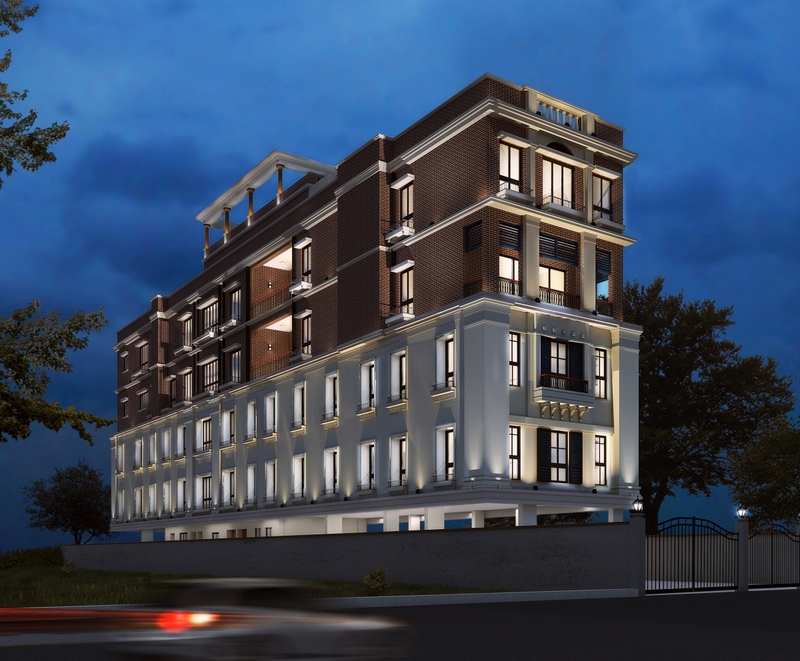 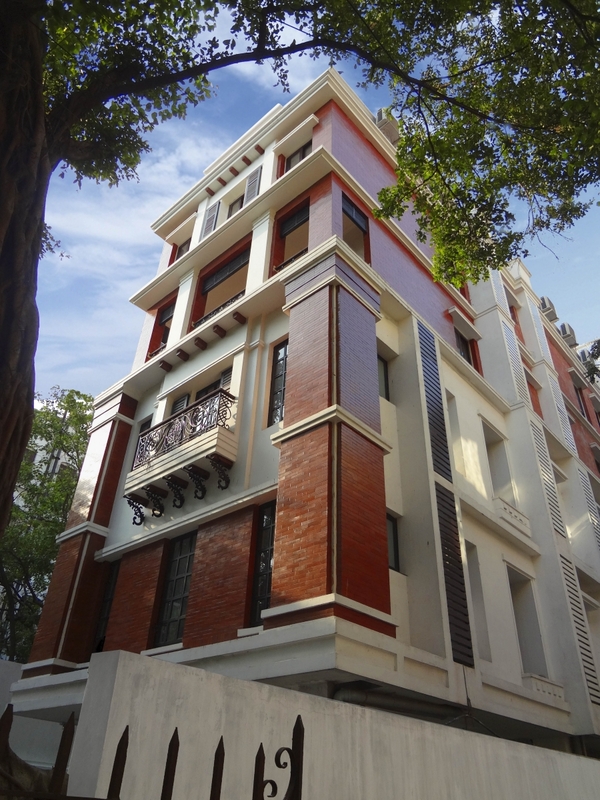 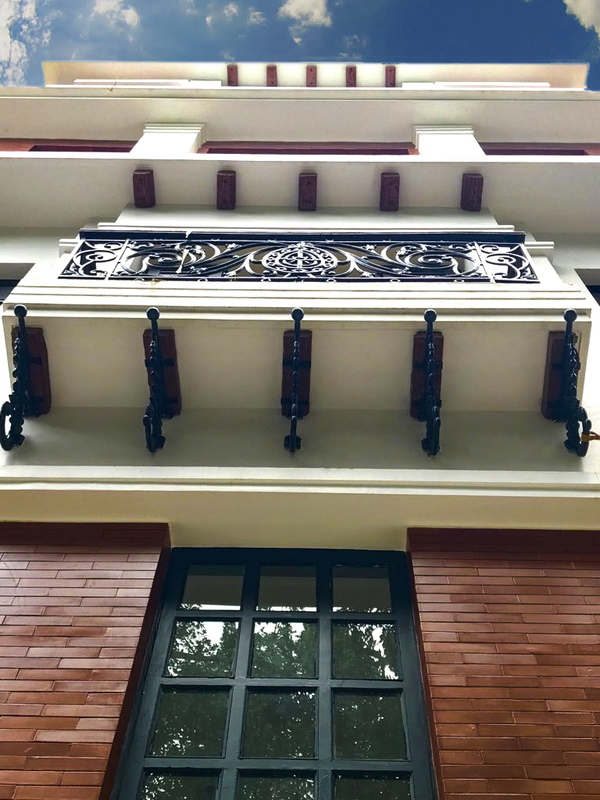 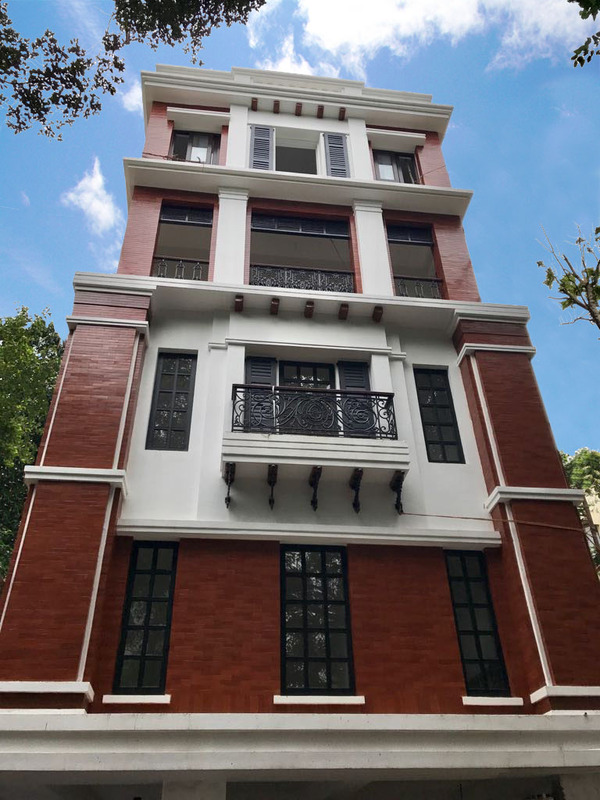 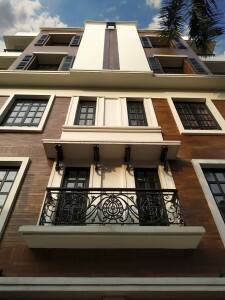 The owner had a specific taste for the Colonial style which reflects the heritage of Kolkata and wanted it to be implemented in the building to some extent. 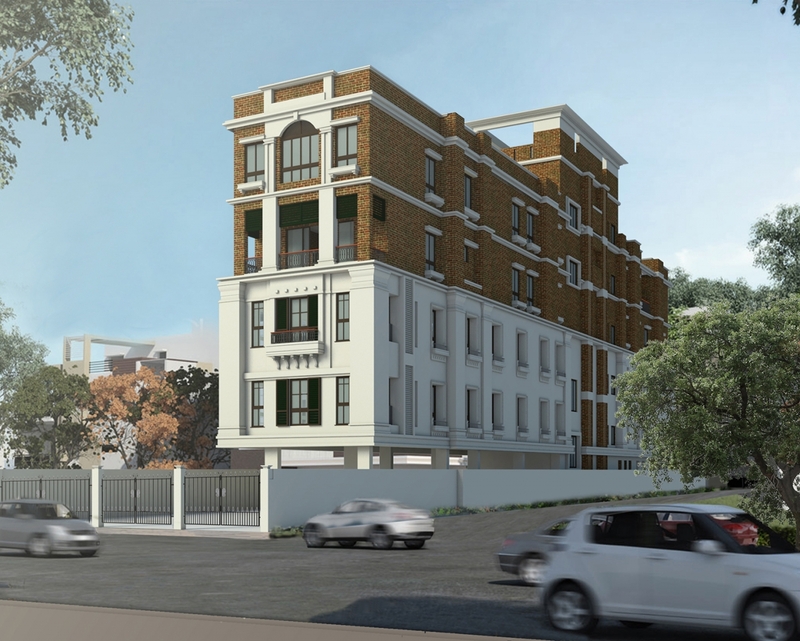 Considering his taste, the concept is to create the image of an exposed brick structure emerging from the cocoon of concrete. 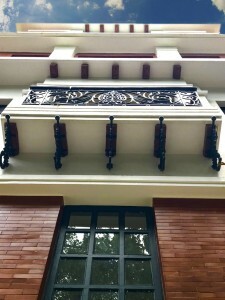 The skin has been designed by layering materials and textures in a manner that highlights the details of the brick skeleton being exposed through the concrete. 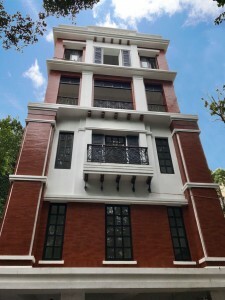 This in turn reflects the mixed occupancies incorporated in the building, the first two floors being commercial and the other two being residential. The building caters to both types of users in terms of security, services and degrees of accessibility.